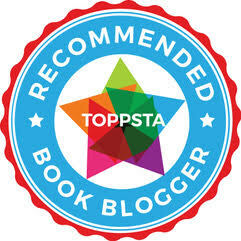 #ReadItMD13 Theme Week - "Doctors and Nurses and all things medical"
"Doctor Ted" by Andrea Beaty and Pascale LeMaitre. Take two biscuits and call me in the morning! It's "Doctors and Nurses" time as we explore all things medical for this week's #ReadItMD13 Theme Week. Children's books that can help children relax about medical matters are invaluable but we also like the ones that are a bit tongue-in-cheek, and sometimes a good dose of cheeky laughter is the best medicine. "Doctor Ted" By Andrea Beaty and Pascal LeMaitre. Doctor in charge! 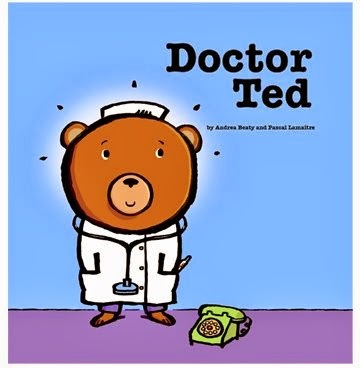 In fact we wouldn't dare NOT feature "Doctor Ted" by Andrea Beaty and Pascal LeMaitre, simply because it's been so popular with Charlotte and such a huge hit. A little bear wakes up one morning and bangs his knee. Rather than running to his mum, he decides a doctor is required - but since there aren't any around, HE will become one! Setting up a surgery doesn't take long (though I'm not sure mum would be too happy when she sees what Doctor Ted does with her curtains) but no patients arrive. Thankfully, schools are full of germ-riddled snot-covered patients a-plenty - so it's the perfect place for a young doctor to practice his craft! Naturally, when you're at school to learn, and your teacher and headmaster take a very dim view of medical antics, things can go sadly awry. But can Doctor Ted prove his worth and save the day after a bump and a scrape in the playground? This is a fab book, irreverent and cheeky - which is, of course, why kids probably love it to bits! "Dr. Dog" by Babette Cole. No need for laughing gas here, it's got plenty of its own! 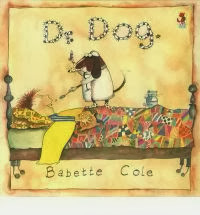 Babette Cole's "Dr. Dog" and "A Dose of Dr. Dog" are both fabulous and very cheeky books detailing a medical pooch's efforts to keep his family, the gross and grotesque Gumboyles, fit and healthy! It's not easy though. Young Kurt smokes far too many illicit cigarettes behind the bike sheds and has an awful cough. Baby Gumboyle does NOT wash his hands after going to the toilet, and the less said about Grandad's dietary habits, the better. Phrrt! Poor Dr. Dog ends up so stressed out at the end of the first book that he jets off on a tropical holiday for the sequel. 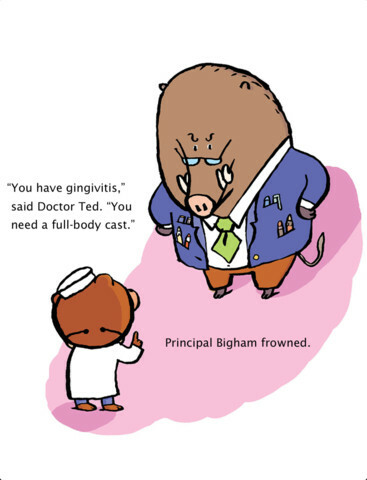 Unfortunately the Gumboyles invite themselves along, and it's not long before poor Dr. Dog is once again called on to join forces with Professor Dash Hund to administer some tropical medicine! These books are so well loved that we've practically worn our copies out! Usborne's "Look Inside Your Body" by Louie Stowell and Katie Leake. Brilliant lift-the-flap factual biological fun! 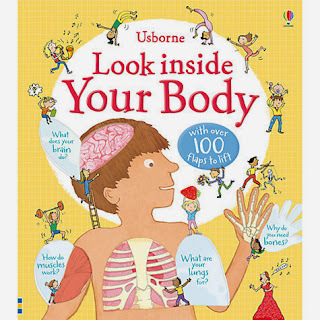 Usborne's "Look Inside Your Body" by Louie Stowell and Katie Leake is a fantastic fact-filled voyage through your body, from your brain to your biceps, from your eyes to your toes with an absolute ton of flaps to open and discover. Clearly and concisely written but with plenty of fun illustrations and diagrams, it's a book that shows Usborne are still leading the way when it comes to producing brilliant informative books for curious kids. "ABC Doctor - Staying Healthy from A to Z" by Harriet Ziefert and Liz Murphy. Fab-u-Lous! 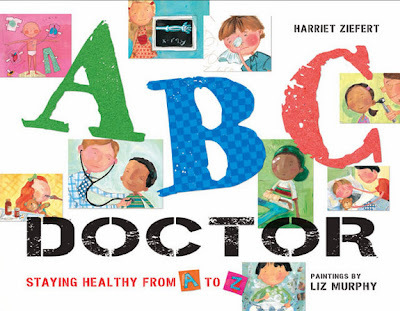 "ABC Doctor - Staying Healthy from A to Z" by Harriet Ziefert and Liz Murphy mixes great painted panels with lots of facts for children on what they might expect to find during a visit to hospital or the doctor. Though it can be a bit "americanised" in places, it's a brilliant and colourful book that also has an accompanying book "ABC Dentist - Healthy Teeth from A to Z" by Harriet and Liz that is equally fun and fact-filled. There are so many children's books dealing with medical matters to choose from. Some fun, some factual - but one thing we would like to see more of are children's books where the ladies take centre stage. Do you know of any? If so, please drop a comment in the box below or tweet us @ReadItDaddy!